Magic Wood, while beautiful, famous, and covered in exceptional rock, is also quite confusing and overwhelming for first timers. Boulders twist and turn around ever forest corner, some up steep hills, while others are in caves, or even on the river. PRO TIP! Create your free 27 Crags account and get one week free access to the most complete topos of Magic Wood. The high quality gneiss rock lends itself to a plethora of crimping boulders and has a remarkable concentration of boulders for such a condensed geographical area. The setting, while comparable to Squamish and parts of Zillertal, is for the most part unlike any place you’ve ever climbed. There are wet roots and moss covering the forest floor as you walk through a world of green. While 27 Crags topos and some nice locals will help you navigate the forest, in the mean time, here is a list of some of the best boulder problems that are not to be missed when visiting. 6B Superhorny - D. Hart: "Exposed and fun"
6B Spankstick - Rather high but really pleasant line. 6B+ Seven of Nine - "A. Haag: Grade depends a bit on start. Nice dynamic move afterwards." 6C Jenny - R. J: "Really nice sequence. Worth doing if you're in the area." 6C Big Cheese - A. Gasic: Felt hard at first, but with right beta felt bit easy. 6C U-boot - J. Blomqvist: "Beautiful climb. You can really flow through it. PUMPED." 6C Beach Mantle - A. Fallden: Superb! 6C+ Freiwild - E. Silvennoinen: "Like indoor climbing"
7A Zilliman - N. Lamminmäki: Nice! Clear line with powerful moves! 7A Enterprise - Great arete problem. Worth the hike up and good to take few pads. 7A Linserboulder - J. Blomqvist: "Great compression climb, a bit scary with one pad and no spotters." 7A Marihuanacorner - J. Wade: "This problem has it all! And finishes with an exciting mantle.."
7A+ Red Roses - K. Wildrick: "Classic! After many times failing because of a slipping left foot, it felt easy when I switched to flat gym shoes." 7B Morgenlatte - Very powerful! 7B Dinos don’t dyno - S. Hochbaum: "Perfect jump from perfect holds to a perfect jug"
7B Blown Away - M. Piccolruaz: "this boulder is just so amazing. scary top out =)"
7C Super Nova - S. Hermansen. 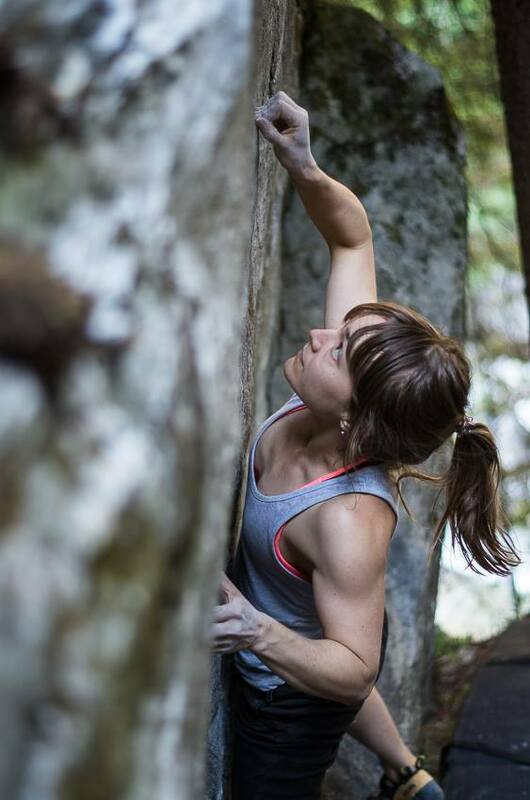 "The best problem I have ever climbed - matching the last hold was quite hard for me until I found a little pinch on the nose." 7C Rythmo - I. Kelloniemi: Pogo jump! liked this so much! 7C+ Piranja - M. Pelle: “3rd go of the day after some tries in a previous session months before. Wonderful movement"
8A Unendliche Geschichte 2 - S. Hochbaum: “Classic. 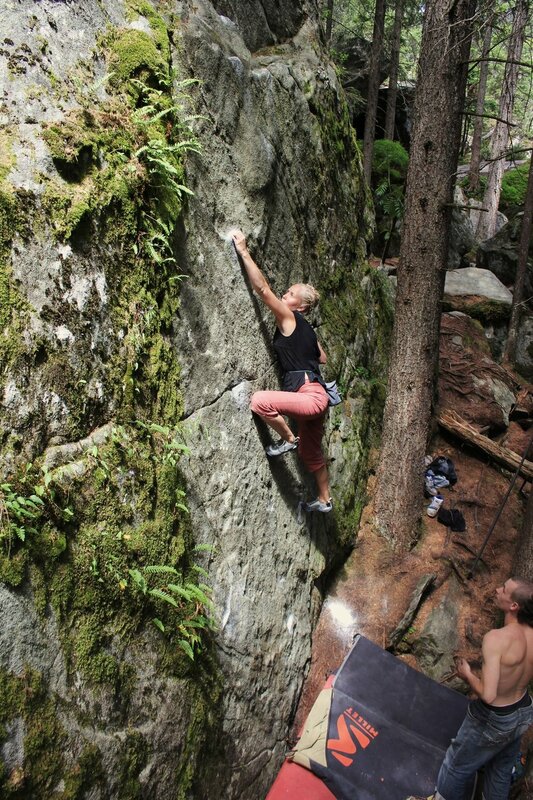 One of the best boulderproblems I ever did!" 8A From the Darkness to the Sunshine - Michael Piccolruaz: “started on the jug! climbs much better than it looks like.”started on the jug! climbs much better than it looks like. 8A+ Bodycount - Nils Favre: "Soft but really nice!" See the full info on Magic Wood and all the routes below!